With 'Sophia,' A Forgotten Suffragette Is Back In The Headlines We get hundreds of books in the mail every week, and some always fall through the cracks. NPR's Petra Mayer singles out a biography of a Sikh princess turned suffragette for a second look. When the movie Suffragette came out in October, critics noticed something off: The film's struggling women were all white. 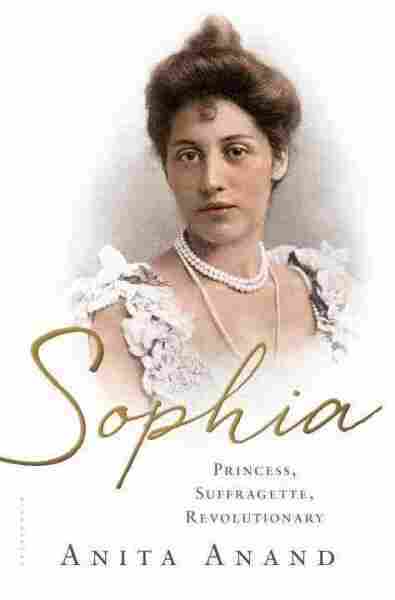 In fact, one of the most important women in the suffragette movement was an Indian princess, Sophia Duleep Singh. But she didn't make an appearance in the movie. "Suddenly there was this sort of tidal wave of outrage from people who were saying, why wasn't she in the movie?" says Anand. "So my first response was, why are you so angry? You hadn't heard about her until fairly recently." Anand herself knew nothing about Sophia until she saw an interesting face in an old magazine photo. "It was black and white, but something about it just told me that this woman was as brown as I was," she says. 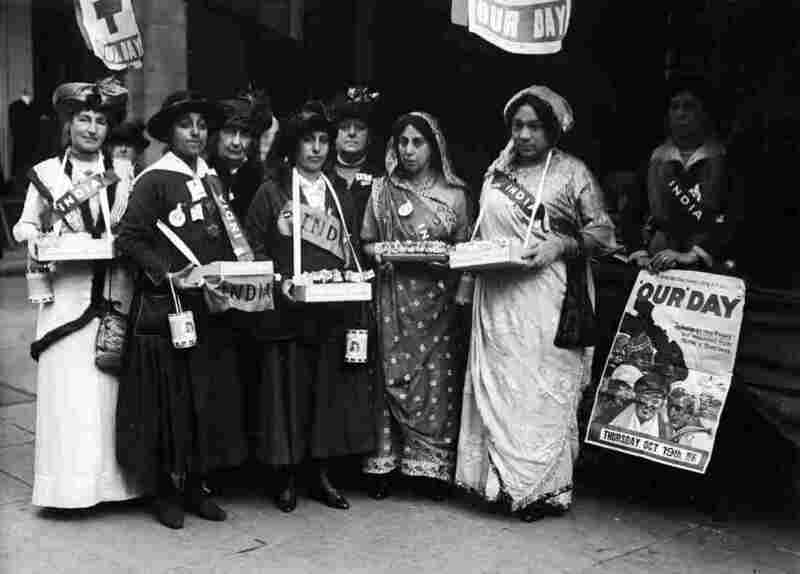 "She had the same sort of features as one of my aunties, and I just thought, you know, I've been a political journalist for 20 years; how is it that I don't know about an Indian suffragette?" Here's how the suffragette princess disappeared from history. "And then something changed," Anand says. "Something changed, to turn her into this harridan witch-woman who was out on the streets, embarrassing the throne, embarrassing the government, throwing herself at the police, campaigning for women's rights. Her plummet from grace was just like a falling asteroid." She was really punished for standing up to the British establishment, and as a result, more or less deleted from history. "So she returns from India suddenly with this sense of fire in her, that it is not right to have equals treated as underclasses, be they brown or be they female," Anand says. Sophia wanted a cause to fight for, and she found several: better treatment of Indian soldiers and her lifelong passion, women's rights. She threw herself into the struggle — grappling with police at protests, throwing herself at the prime minister's car and selling suffragette newspapers outside her apartment at Hampton Court Palace. All of this enraged the British government. Sophia was constantly getting arrested. And while she was never behind bars for long — no one wanted to lock up or force-feed Queen Victoria's goddaughter — authorities found other ways to get to her. "She was really punished for standing up to the British establishment, and as a result, more or less deleted from history," Anand says. The government worked to keep Sophia's name out of the headlines; its refusal to throw her in prison meant that she was never truly famous among the suffragettes — and Sophia herself hated the spotlight. She died in 1948, essentially invisible.